Click here for the New Year. 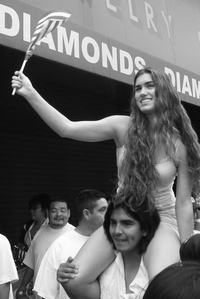 More than 1 million mostly Latino immigrants and their supporters took to the streets in March and again in May to protest the proposed Congressional legislation HR 4437 or to flex the economic muscle of immigrant workers. This series of demonstrations filled the streets in cities around the U.S. and leading the march in numbers was Downtown Los Angeles. As impactful as it was in spring, by fall almost no one was at National Latino Congreso rally at the Los Angeles State Historic Park. The pupusa burst in the cornfields. By the end of the year, not even local micro-newspaper L.A. Downtown News had the marches in it's year end list of important stories. Here's some other Downtown stories that had legs, as seen from a View From a Loft. 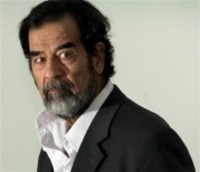 Saddam Hussein is dead. He was 69. I would hold off on those "big news stories of 2006" lists you may be working on––at least for a few more hours. Re-Tales on retail. Returning to the ground floor. 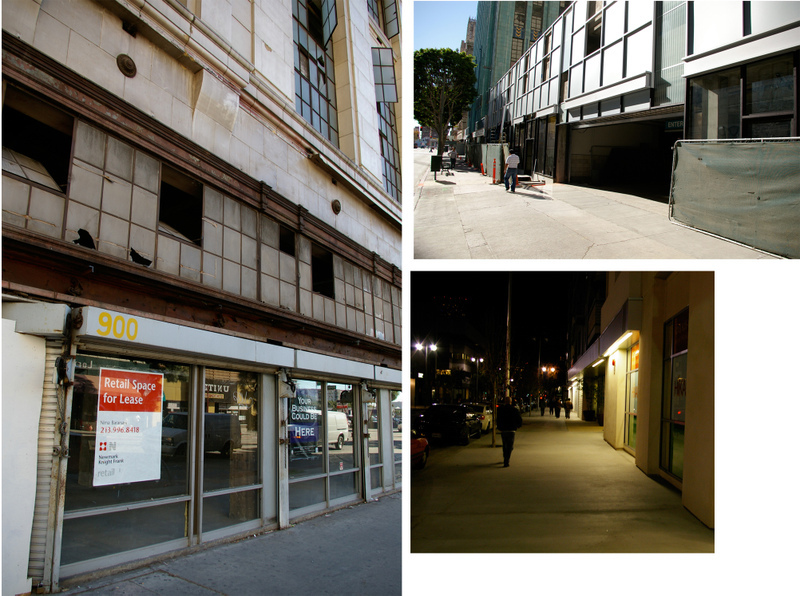 Right: The Old-Old May Company Garage at 9th and Hill has it's bottom floor ready for retail move in. Top Left: At 9th and Broadway, the parking lots for the Eastern Columbia Building are close to done. The previous post had some good comments (even if it sounded like sales reps) about the structure being "honest". Looking at it. . . yes . . . those are very honest cement brick covered with panels. Retail space will be going there and that seems just about completed. Bottom Left: The Hikari Condos in Little Tokyo at San Pedro and 3rd have bottom floor retail that's almost ready. They did a nice job making a pedestrian lane that looks inviting even at night. Not Pictured. No movement on the Main Street "Crack Alley" between 5th and 6th. The walls are down, the floors are bare, so whoever is working on recovering the retail space must be waiting until January to resume. Enjoy the holiday, Mr and Mrs Richardson, and Happy New Year. We have brought together an entire weekend of events for OUR fellow true crime enthusiasts (Dahlia or otherwise) and those that love the more tarnished side of this tinsel town. LOS ANGELES- Sixty years ago next month, an obscure yet lovely young woman named Elizabeth Short became the first and most grisly victim in a series of unsolved woman killings that terrorized post-war L.A. Her bisected body, abandoned in a trash-strewn field in Leimert Park, became the obsession and inspiration for thousands of cops, true crime fanatics, visual artists, writers and filmmakers. 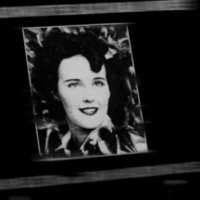 During the week of January 11-16, the anniversary of Elizabeth Short's captivity and murder, downtown L.A. will host a series of startling events inspired by the crime and its eternally fascinating victim. The Lost Weekend kicks off on Thursday, January 11 with the opening of the exhibition "Her Name Was Elizabeth" at Regent Galleries with Dahlia-inspired artwork. 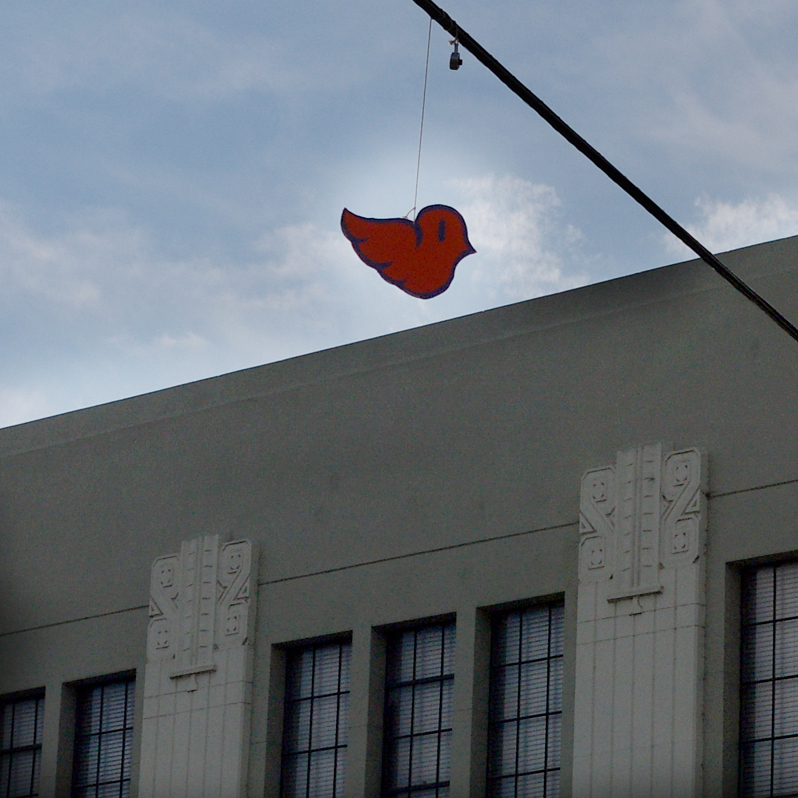 Photo: Taken at Metropolis Books , next door to the Regent Gallery. 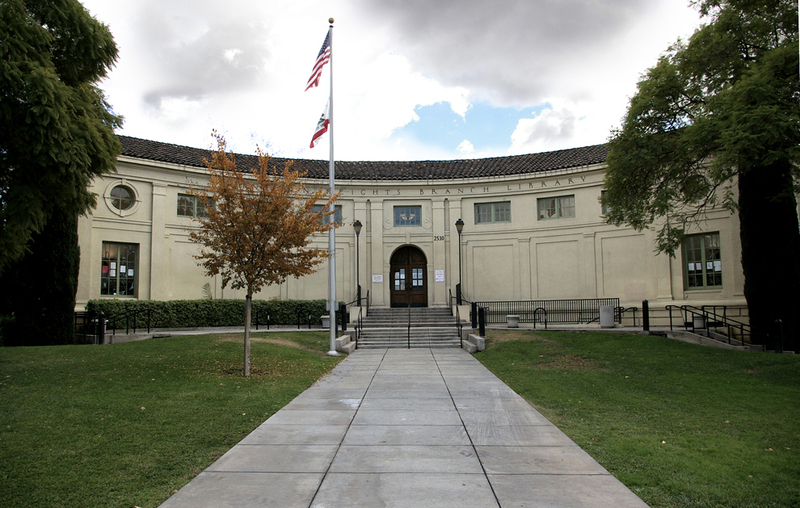 With Lincoln High School founded in 1878, the neighborhood north of Downtown was already an established part of Eastern Los Angeles by the time it was renamed Lincoln Heights in 1917. High in the bluffs, bisected by what became North Broadway, Lincoln Heights was a series of tracts with large boulevards and greenspace designed to emulate Parisian cities. All to attract industrial Mid West and East Coast city dwellers during the LA’s initial goals to be a garden city utopia. Until Los Angeles grew south and to the west of Downtown, Lincoln Heights was one the premiere places to live with it’s commercial strip and to the east, Eastlake Park (now Lincoln Park). The area had pedestrian traffic in mine, and todaymakes an appealing place for families dependant on public transportation. For a few generations it has been mostly Latino, although now there's a growing Asian population. Thanks to a few websites, mostly “History of Lincoln Heights” that started collecting information in 1999, the early history of first L.A. zoo long demolished, silent film sites forgotten are being documented. Lincoln Heights history can still be seen in the workman cottages, Victorian Homes, small neighborhood grocery stores and architectural gems like the 1916 Carnegie Library. 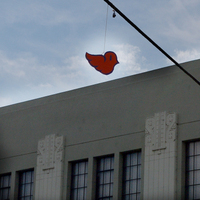 The "Bird Man" of Venice was recently near the home offices of View From a Loft. It's a coincidence because in the recent "View From a Loft" for Arts District Citizen (now Citizen LA), the commentary was suppose to have a photo illustration. It's after the jump. For the 895 days of his presidency, President Gerald R. Ford brought this country together after an unpopular war, a ridiculed administration and dodged two assassination attempts with a quiet grace that befitted a University of Michigan football star. So unassuming was his persona the only thing about him that could be satirize by that era's most subversive show––then in it's first year––was his habit of falling in front of cameras. Saturday Night Live lived on it. The U.S. stumbled too, but got up and kept going. Just like it's leader. Gerald Ford died Tuesday, December 26. He was 93. Off Topic. When you survey Chicano Art the legend of Aztlán comes up. 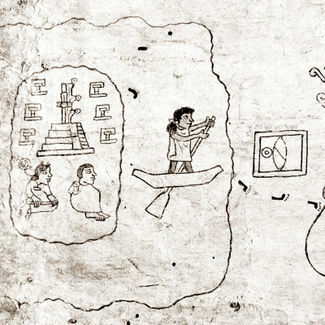 It's told to be the home base of the Nahuatlaca tribe that migrated south to later form what became the Aztec civilization. The problem is no one knows where it is, so it became a spiritual homeland. In the beta version of View From a Loft––during the immigrant demonstrations last May–-we speculated with tongue in cheek that it would be ironic if the marches were not an invasion, but a return home. That Los Angeles or Riverside, two regions with rich farmland along a river, was the actual site of the mysterious Aztlán. As it turns out, it may be Blythe, California, located near the Colorado River in Riverside County.